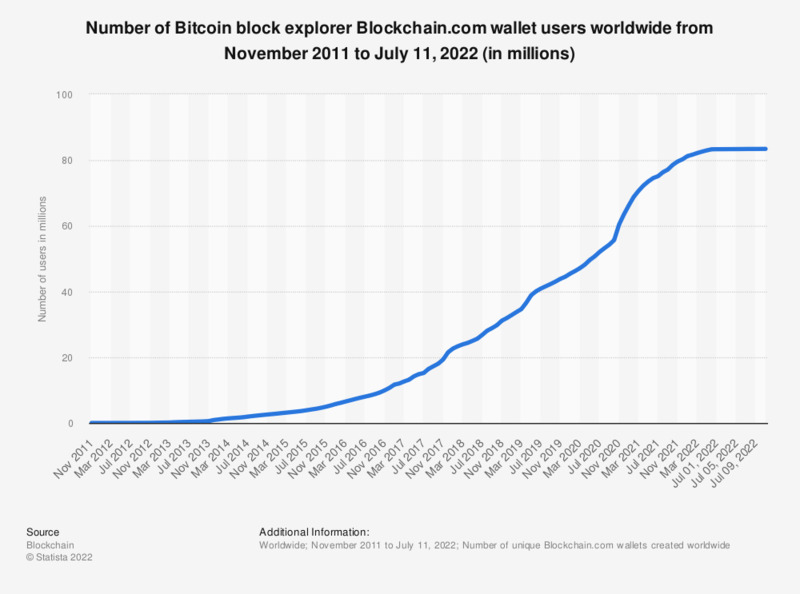 The number of Blockchain wallets has been growing since the creation of the Bitcoin virtual currency in 2009, reaching nearly 35 million Blockchain wallet users at the end of March 2019. Blockchain is the technology that made Bitcoin popular and is a critical part of most cryptocurrencies. A “block” in this case refers to a record of the owners of all bitcoins, as well as the previous owners. Since this “chain” of ownership is distributed globally, it is extremely difficult to alter the ownership records. A “wallet” in the digital sense implies a layer of security known as “tokenization”. The user stores his or her personal data with the wallet provider in a digital account, or wallet. This provider sends payment information to vendors in the form of a token. This token, instead of containing the personal information of the account owner, only holds enough information for the wallet provider to associate the transaction with the correct account, usually an account number. Blockchain’s use is not limited to cryptocurrencies. Its distributed ledger technology has applications in a variety of sectors, including non-financial industries such as healthcare and energy. As the number of blockchain applications rises, the number of blockchain wallet users will continue to increase.